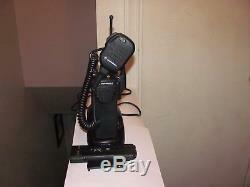 Used Motorola XTS3000 H09RDC9PW5BN UHF Model I 403-470 Mhz 2 Way Radio. Radios may have scuffs and scratches from use, permanent marker writing and or stickers and engraving on it. 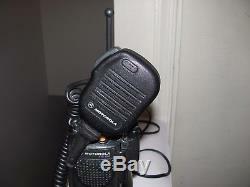 Motorola XTS3000 H09RDC9PW5BN UHF Model I 403-470 Mhz 2 Way Radio. 2 OEM Motorola IMPRES Batteries. 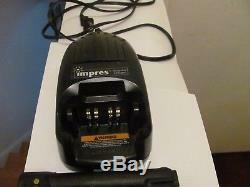 1 Motorola WPLN411AR IMPRES Charger. 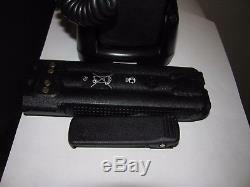 1 OEM Motorola Speaker Mic. Does not comes with anything else not listed above or seen in pictures. I do not program or offer any programming for the radio. Firmware: 07.71.00.00. DSP Software N08.03.05 or N08.03.03. The item "Motorola XTS3000 UHF Model I 403-470 Mhz Radio + Charger + 2 Batteries + Mic" is in sale since Friday, November 3, 2017. This item is in the category "Business & Industrial\Facility Maintenance & Safety\Surveillance & Alarm Equipment\Two-Way Radios". 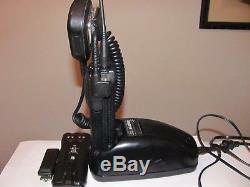 The seller is "rickky421" and is located in Alexandria, Virginia. This item can be shipped worldwide.